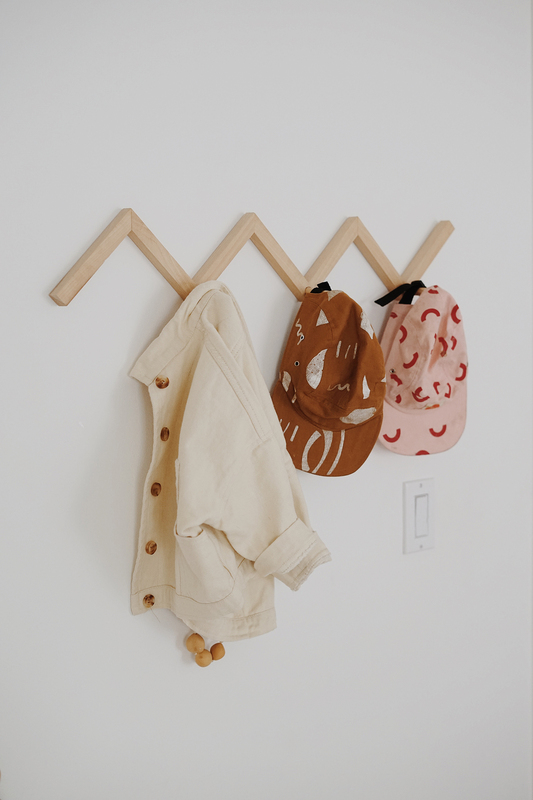 this is a post i have been meaning to write for months, i get questions every single day about the sources for everything in arlo’s room and why we swapped out certain items, so i’m going to answer it all today! 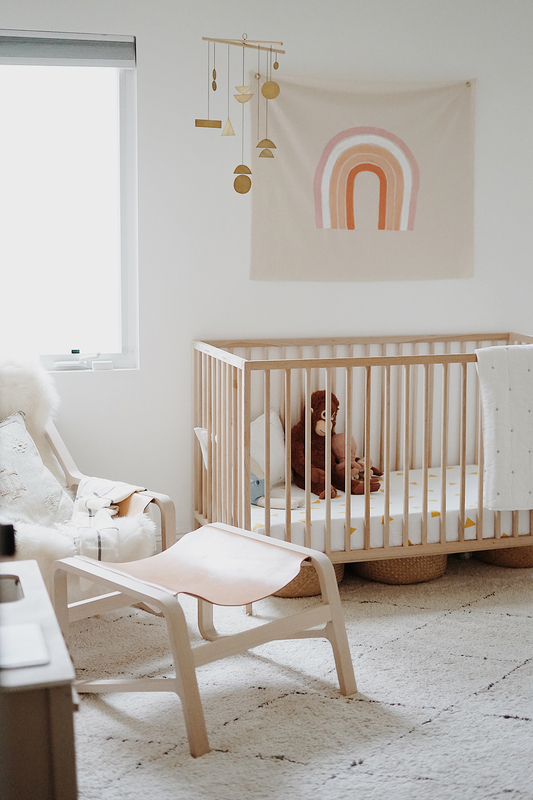 brooklinen now has a whole collection of baby and kid bedding called brooklittles, and i love so many of their pieces — it seemed like the perfect excuse to do an update post. 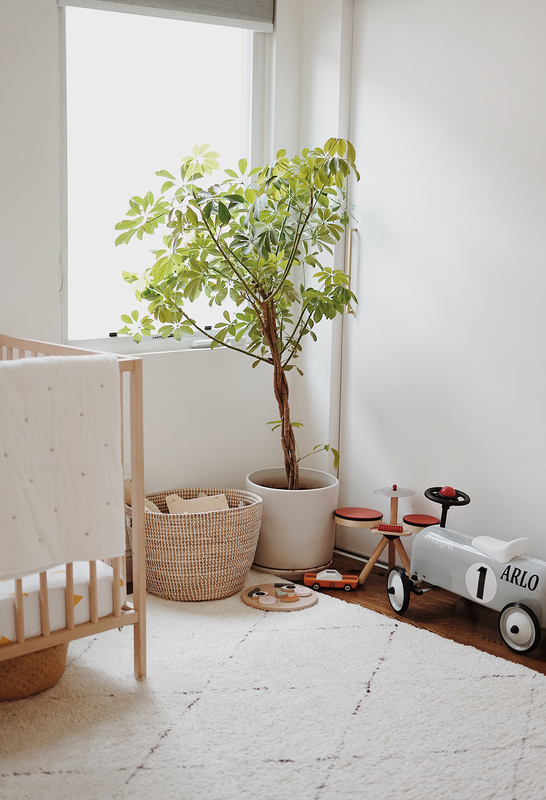 obviously as most people do, i decorated arlo’s room prior to his arrival so as we spent more and more time in there actually using it once he was here, there were changes i wanted to make. to remind you, here was his nursery before he was born. 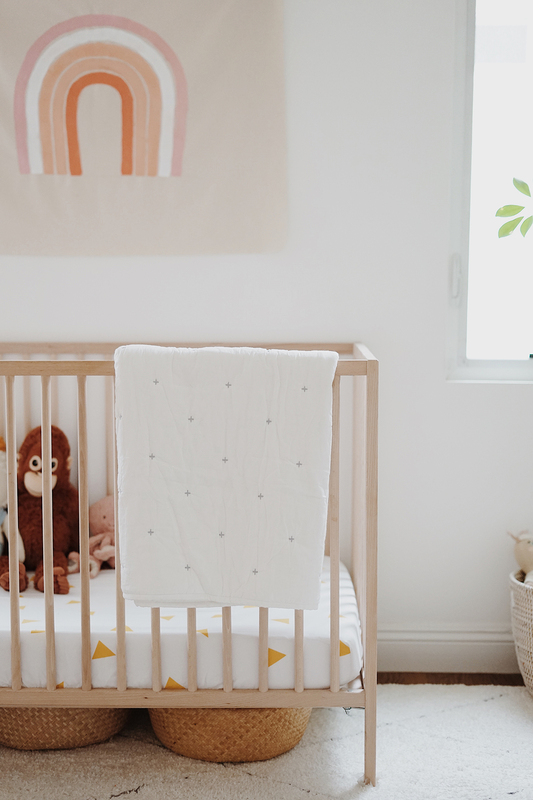 brooklinen sells crib sheets in pairs in different cute patterns so you can mix and match, i love this one in sunshine prism. we also got him the baby quilt set and yes i love it, but ARLO loves it even more. from the moment i put it in his room he loves to snuggle the pillow and get tucked in, so now we’re starting to debate if we should introduce them to him to actually sleep with. what age did your babies start sleeping with a pillow/blanket? 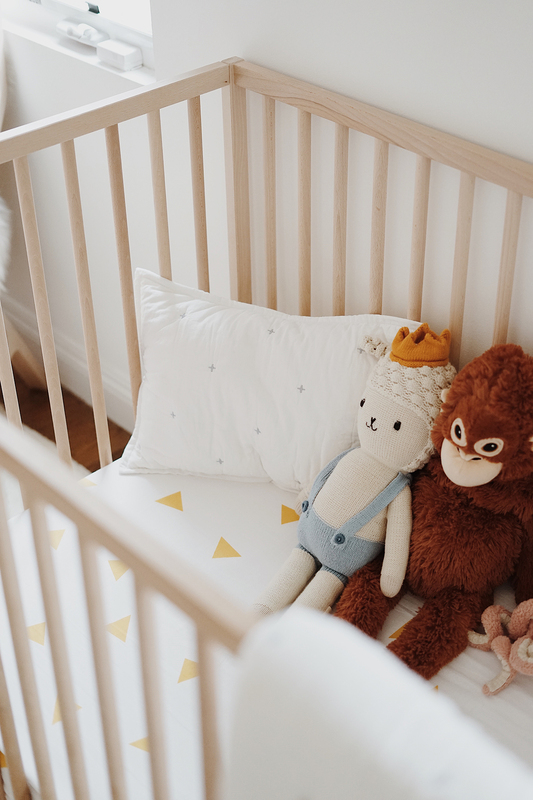 i decided to only shoot the crib with three stuffies, but honestly he sleeps with like 10. we try to narrow it down– but he wants them all in there (he’ll literally throw them back in his crib every time we take them out). now to answer the question about why we swapped out cribs. 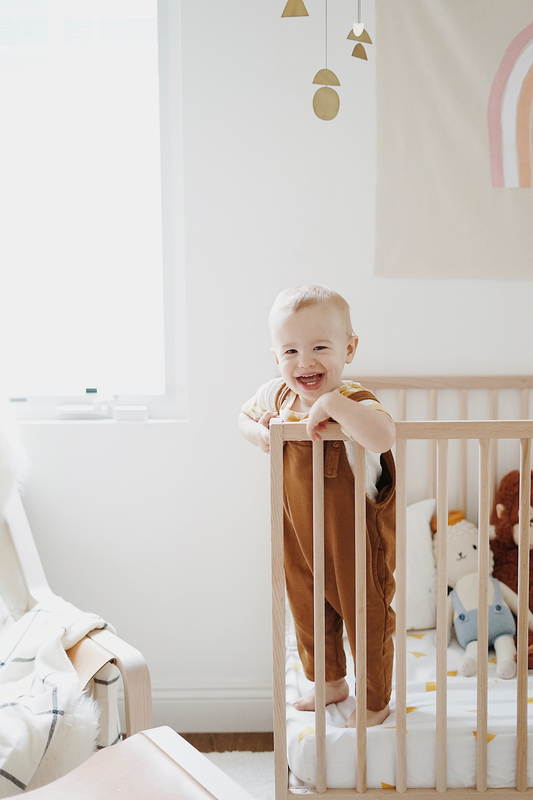 we started with that hudson crib which was nice, but honestly it felt really big and bulky, i had researched the best cribs for petite moms and that was definitely top of the list, but it felt really tall for me. so when i was strolling through ikea one day, i saw the sniglar crib and was like omg that is so much better for my height! so on a whim i bought it, brought it home, assembled it and then realized it was the same height as the other crib, OOPS. but i like it better. it looks better in the room and like, visually lighter. the baskets under the crib are chock full of toys and also from ikea. 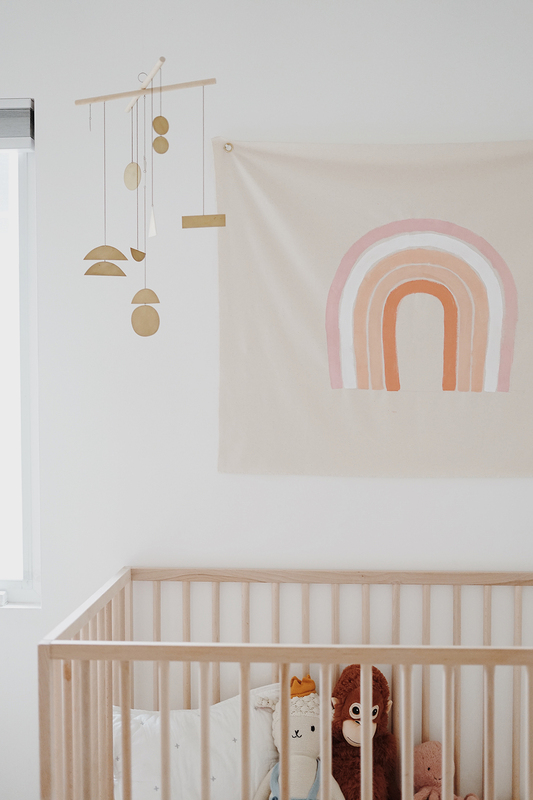 the rainbow art above the crib is a canvas fabric i bought and painted on, i thought about making a few and selling them but everyone and their mother is selling rainbows these days so, mehhh. i could do a post about it if you want, but it seems self explanatory? let me know. the rug was a swap-out too. we kept the original rug from his room and moved it to the living room, i love that rug so much, but when you are laying on a rug all day every day with a small baby, you realize that vintage beni rugs, as cool as they look, might not be the ideal smell/texture for tummy time. so i got a brand new, very clean rug for his room instead. 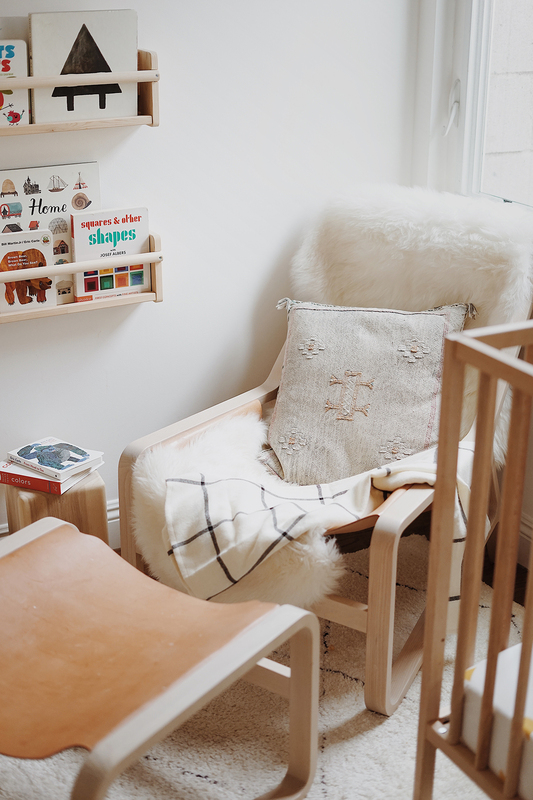 we also switched out the rocker once i stopped breastfeeding and we sleep trained, it just felt like we didn’t have the need for it and could have something a little more cool. i had always wanted this blu dot toro chair, and it instantly changed the room. it feels so much hipper in here now! arlo loves to sit in it so much and read to himself. i draped a cozy sheepskin from article over it so it wouldn’t get damaged. the pillow is cactus silk and sooo pretty and the alpaca throw blanket is from brooklinen. we also swapped out the bookshelves. apparently i was terrible at making decisions during pregnancy i’d stick with lol. 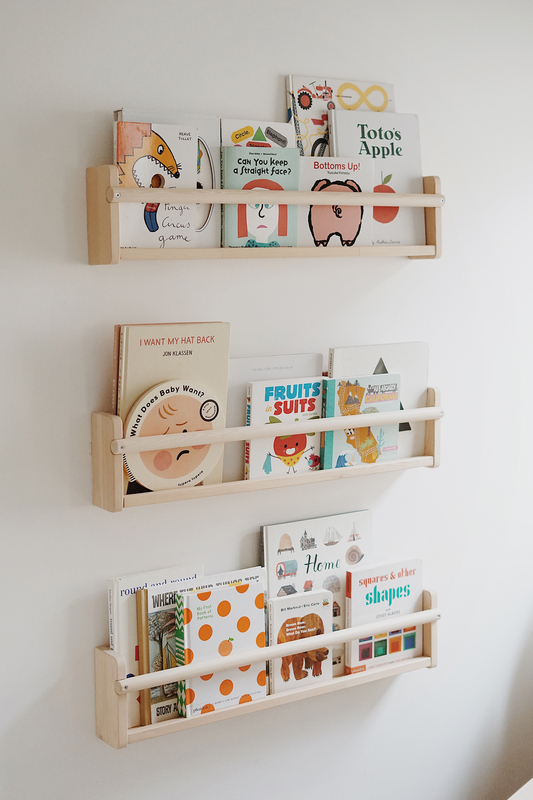 we had the original ones built by my carpenter but they were so dangerous because books were always falling off and we got worried they’d eventually hurt arlo, so we got these really inexpensive ones! the only problem is how much arlo loves all his books so we’re considering adding a few more. 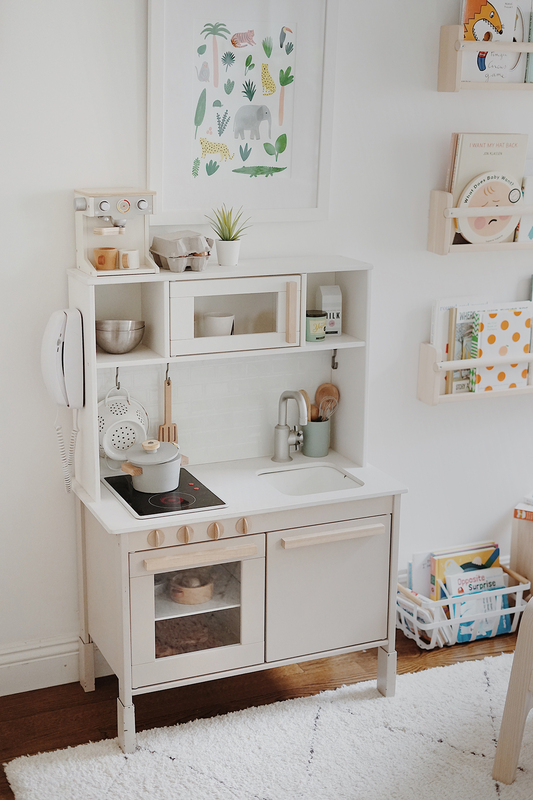 also, i moved arlo’s kitchen into his room for this shoot. it’s actually been in our room since i finished it and it was really nice to have it because he’d have a place to play while we would get ready. i think he’s happy to have it in his room, but i’m not sure where we’ll leave it ultimately because it’s sort of big right here. 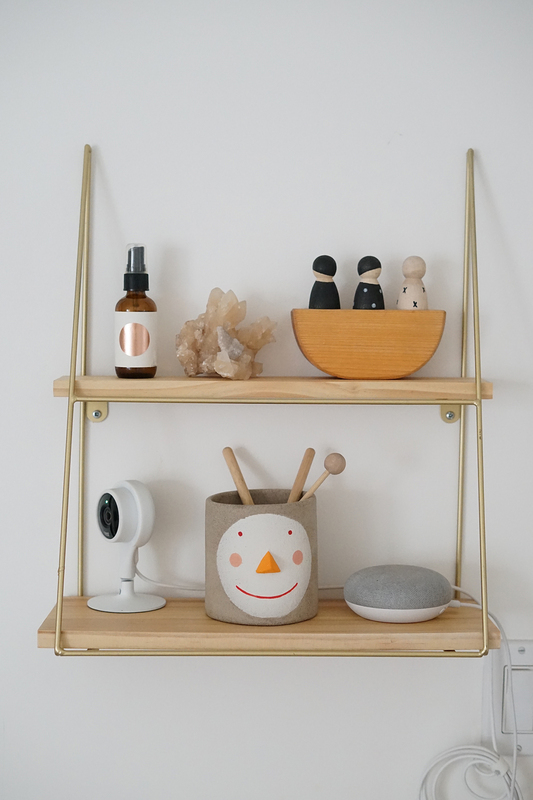 we added this little wall shelf (this exact one is no longer avail but this one is really similar and i like this one too) to house a few of cute toys, the baby monitor and the google home. once he figured out how to play with the google home we had to move it up. i considered moving the cords away but i was like HEY MAN THAT’S REAL LIFE. i also keep the drum sticks from arlos toys up here when he’s not playing with them. we’ve somehow kept this plant alive LONGER THAN ARLO HAS EVEN BEEN ALIVE! definitely a record, and i love that it’s the one in his room. makes me want to cryyyy. this corner is sort of crazy and just always filled with toys. i would love to figure out a way to use this space better, i would even be up for rearranging the room again (shocking i know) to make a play area for him. 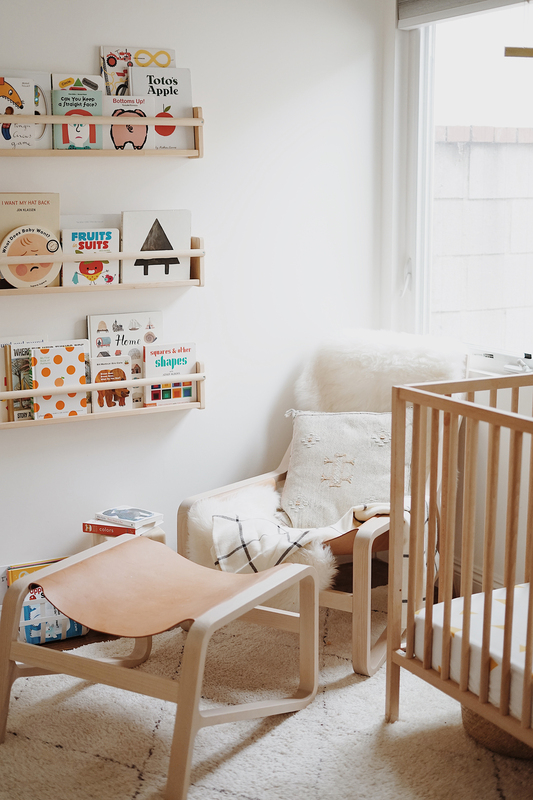 i love all the cute clean montessori setups covered in expensive wood toys lol. someday i would love to live in a big house with a designated family room/play room, but for now we have to make due with small corners. please let me know if you have any ideas! 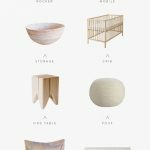 make sure to check out brooklittles, their whole collection is insanely cute and i love brooklinens laid back attitude. and you can use code “molly20” for $20 off + free shipping on orders over $50! and as you can see he likes being in there hahah– let me know if i missed anything! Do you like your diaper pail? Our Diaper Genie just broke and we looked at this model . . . . 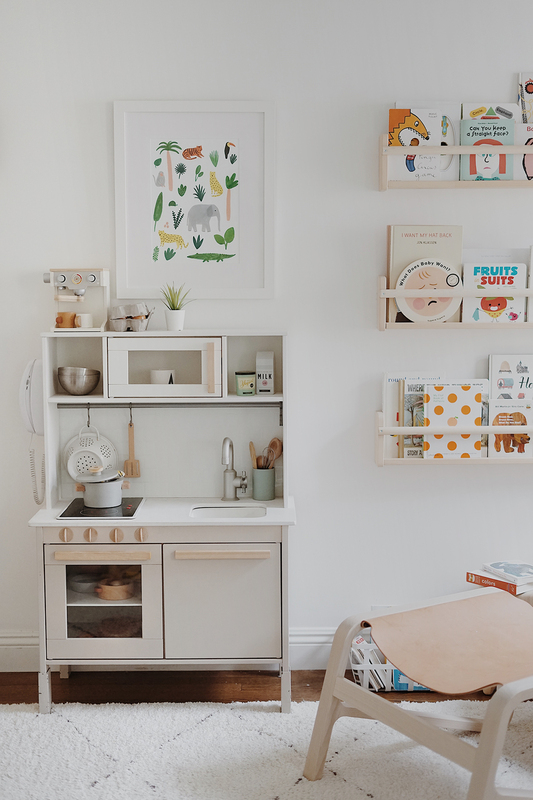 The cutest nursery/bedroom ever! 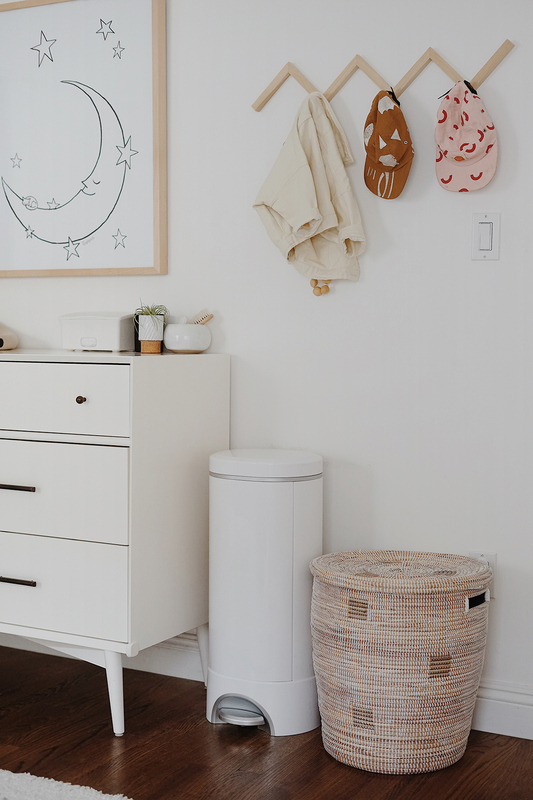 It’s amazing what you do with Ikea stuff. LIke when I go to Ikea and I see the plain wood accessories I never think to style them in a space. You have such a great eye! i was so happy to see you had a link for those hats- we have been looking all over. unfortunately the link doesn’t link! where are they from please? his room looks great! Ha! 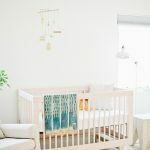 I have been stalking Arlo’s room the past couple weeks while trying to plan a play-corner and this post answered all my questions! 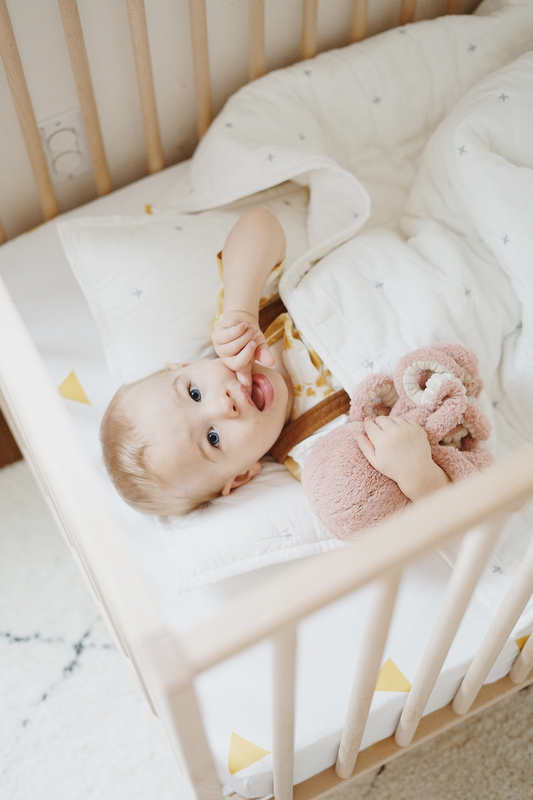 And I love our Brooklinen adult sheets so I am really excited to check out the kids bedding! I buy that rainbow in two seconds. Please do it! I love it. I love seeing Arlo’s personality in this room. It’s so chill, and I love it. Obsessed of course. How do you keep Arlo’s rug clean? 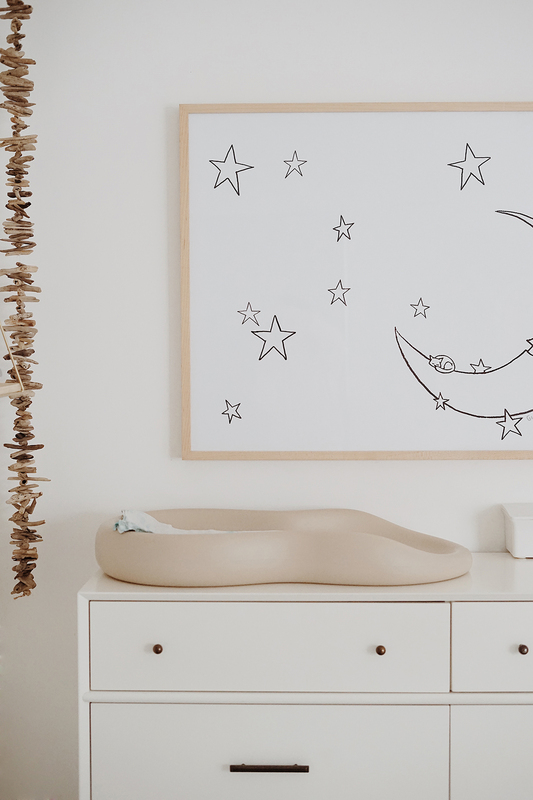 We have the same one in our nursery and its so filthy! Oh crud, I was just thinking of buying it! Does it shed? I’m thinking of buying this rug for my nursery. When I follow the link above it says the rug is brown and beige. In the photos it looks black and white. Can you clarify for me? Really nice. When I look into this room I just think which toys I would liked to play with when I was a child. I think I would pick the car, the drum and the kitchen… all them are so cute! Love the room! 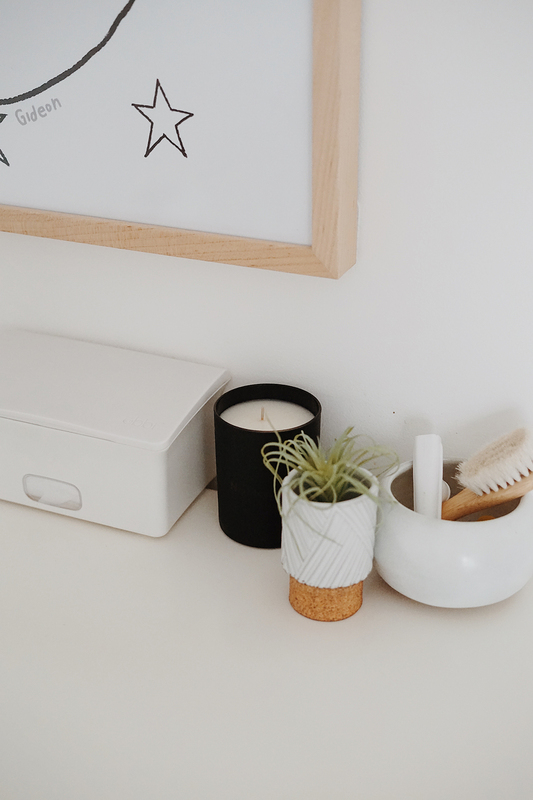 Can you link the small wooden rainbow piece on top of the dresser?